Haskins Garden Centre has partnered with Copthorne C.E. Junior School to donate houseplants to the school in Crawley. 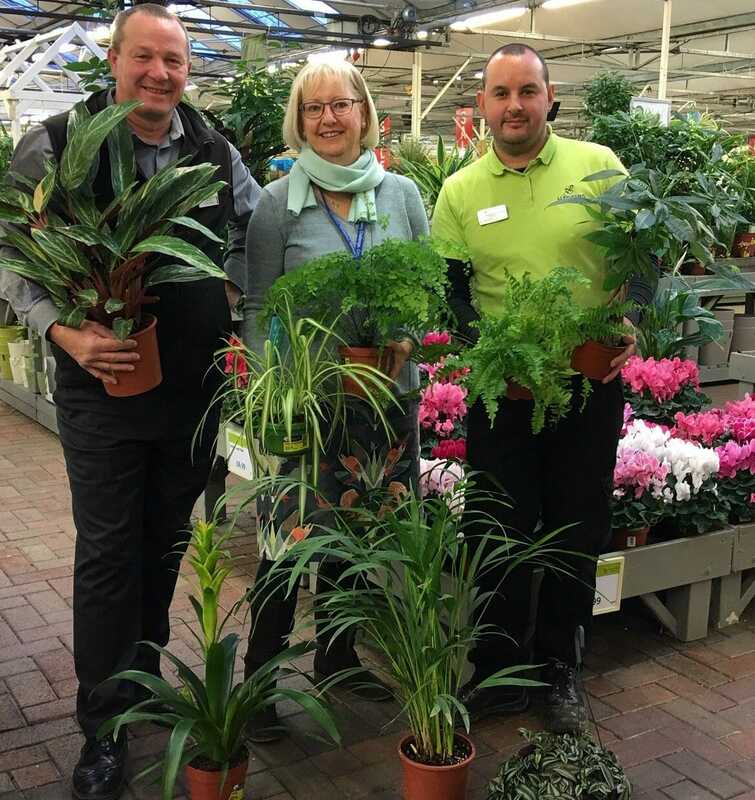 The school business manager, Mrs. Karen Reynolds, visited Haskins in Snowhill on Friday January 25 to meet with Mark Smith, assistant general manager of the Snowhill garden centre, and to collect a variety of houseplants for the school. Houseplants help to make the air indoors less toxic by purifying the air and eliminating any volatile organic compounds. Studies also show that humans are generally happier when surrounded by a plant. Indoor rooms can be full of airborne pollutants, with carpets, paint and even people harbouring toxins – especially in the winter months, when windows are closed to the cold air outside and central heating is ramped up indoors.